Most of you have probably seen the movie 3 idiots, in which actor Aamir Khan flies a Quadcopter “multi rotor” with a camera attached to it. Skyfi labs now offers you the chance to make a similar quadcopter using the latest technology, and skills provided in our Quadcopter Workshop. 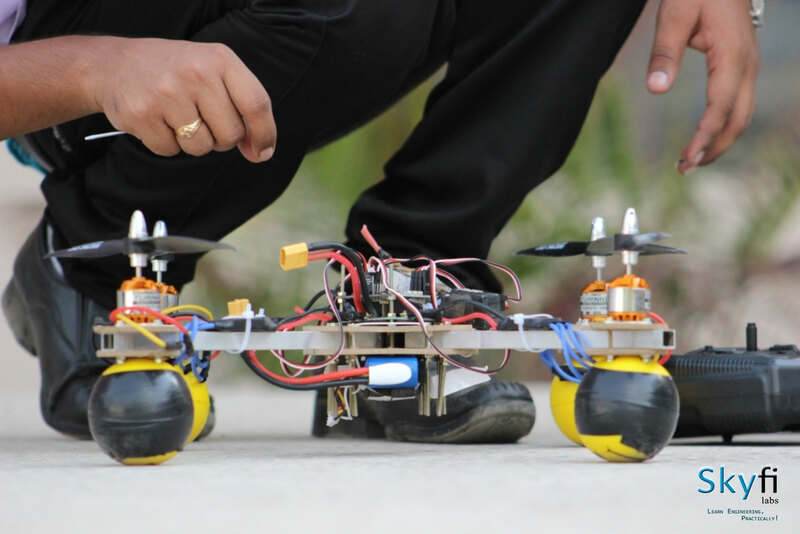 Quadcopters are helicopter-like flying devices with 4 counter rotating blades. These blades spin very fast allowing the quadcopter to fly in all different directions and perform various controlled maneuvers. The size and efficiency of quadcopters have made them suitable for various applications in both civilian and military life. Aerial photography is the most common of these uses. Due to the capability of a quadcopter to carry large weights, a camera is often attached to the frame of the quadcopter and thus used to take aerial shots for either reconnaissance(in Military applications) or hobby grade photography. But that is not all. In MIT, quadcopters have been used to offer personal tours of the campus to recent intakes and help lost wanderers find their way around campus. It is the flexibility and ease of use that have made Quadcopters the preferred multi-rotor of choice for both Hobbyists and professionals alike for various other uses. As a student, it has most often been a dream to create and invent something great, especially for engineering students or students with a strong interest in Technology and gadgetry. The workshop offered by Skyfi Labs is designed in such a way that it not only gives you the skills necessary to Build and calibrate a quadcopter, but also equips you with the knowledge on the aerodynamics of a quadcopter and the programming involved to keep this complex mechanism stable and in the air. 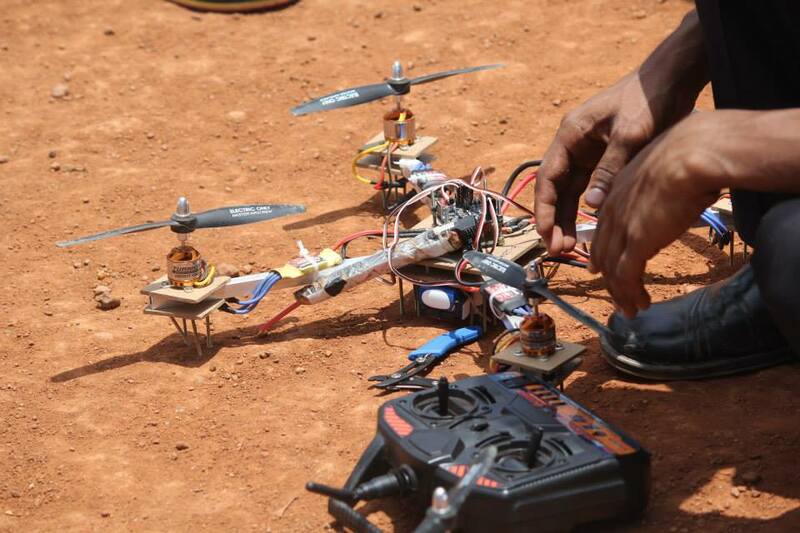 The aim is to help the student understand the workings of a multi rotor flying device and give you a background on the concepts involved in both the construction of Multi-rotors and also their usage, and possible future applications. 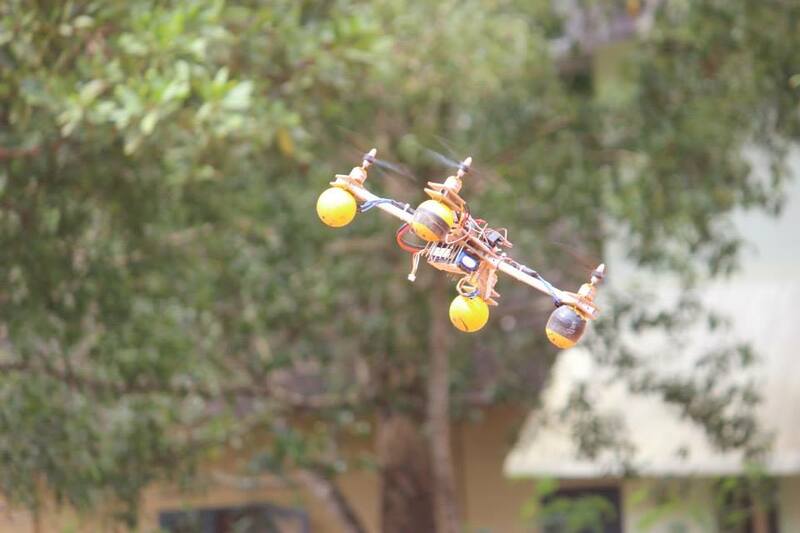 This workshop uses up to date components in the field of multi-copter design and fabrication, most notably the KK 2 control board, which is the “brains” of the quadcopter and helps Provide stability and real time control feedback for the Quadcopter. The best part about this workshop is that the KK 2 board, which the students will be taught to program, can be used in more than one way. Besides the various standard inputs and outputs of the control Board which we utilize for the quadcopter, this Control board can also be fitted with various other gadgets, such as GPS systems, Telemetry systems, and even stabilizers. What makes this board even more interesting is the fact that it can be used to run multi-copters with more than 4 blades and also to help in the control and stabilization of traditional fixed wing aircraft. After being taught how to use and programme this board, students will be limited only by their imagination on the further applications of the knowledge and skills gained with the KK 2. The workshop not only focuses on Programming, other parts of fabrication will also be covered by the students, this will help enhance their teamwork and technical skills, all of which will be important in future projects that might be undertaken, and are all vital factors considered by employers and placement personnel. This will be a chance to get a hands on approach on the usage of various components such as Electronic speed controllers, AC 3 phase motors and many others that you have only till now seen in textbooks. 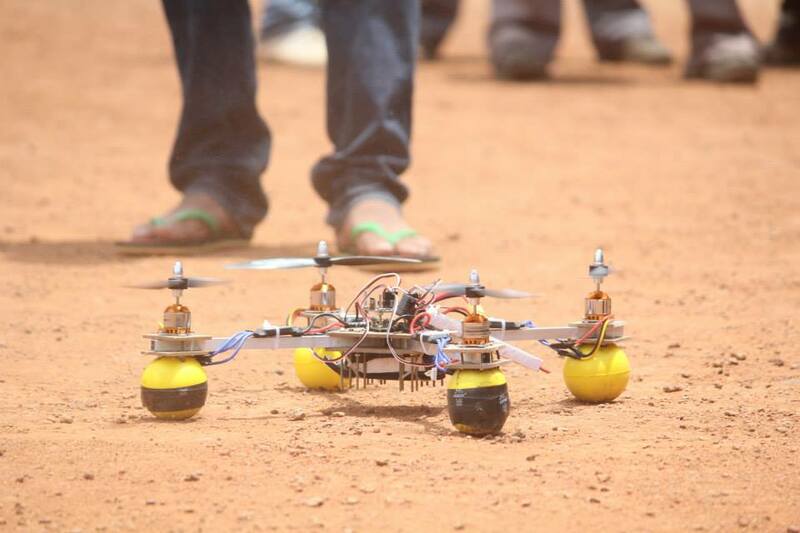 The workshop was developed keeping in mind the need for students to experiment as much as possible with their different quadcopters and designs. When your quadcopter fails to fly, you will be guided by our team of qualified experts and engineers, which will allow you to learn from your mistake and correct them before the flying phase which will be held towards the end of the workshop. In India, multi-rotors are one of the hottest emerging technologies, the applications of the knowledge gained in the workshop will be instrumental whether as a college project, or after your studies where you can use the basics learnt to progress on to the Military or Civilian departments that use UAV’s for specified tasks, the workshop sets you apart in the sense that you now have a basic understanding of how multi-rotors and their flight systems work. Even for those not planning on going into a field related to quadcopters, it is an interesting hobby and time passing activity, coupled with the joy of knowing that you have personally built and calibrated your own quadcopter, which is a great starting point for even more ambitious projects. If in case you are interested in flight or gadgets, this workshop is essentially a must for you, as it will open up a whole new world of opportunities. We understand your needs as students, and cater to your expectations. This workshop is part of the ongoing Roboversity Quadrotor & RC Aircraft, AerotriX Shere Drone & Quadrotor winter training courses.